Way before Abelena was a thing, #Zedlena was something for a hot second. I'm talking about Selena Gomez and Zedd, the Russian-German DJ with a baby face and talent for all things EDM and dubstep. In 2015, Selena and Zedd collaborated on his song "I Want You to Know" and of course took a spin in the dating rumor mill. 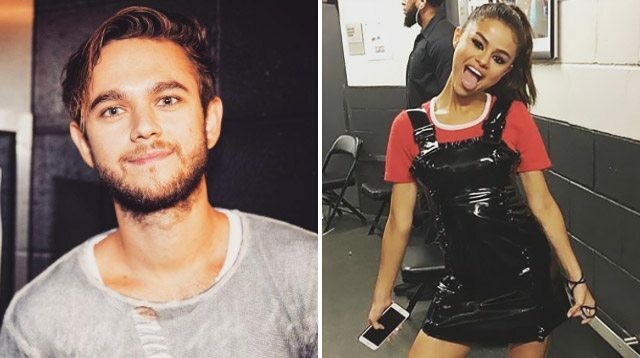 Some seven months later, Selena confirmed that yes, she had a "thing" with Zedd, telling a New Zealand radio station that the thing was also "nice." Now, Zedd is taking a stab at digesting the way they were, telling his side of their brief but nice relationship. Speaking to Billboard, Zedd says his world completely changed when the dating rumors began. "Reporters were calling my parents. People were hacking my friends' phones," he tells Billboard. "I was pissed. [Though] I kind of knew what I was getting myself into." He says despite the fact that Selena is one of the "most talked about people in the world," the attention came as a surprise. "I had no idea how much that would change my life." As history tells us, Selena and Zedd's romance didn't last long. Selena finished that year with multiple interviews in which she talked about her on-again-off-again relationship with Justin Bieber. In November 2015, Justin and Selena were spotted at a Beverly Hills hotel bar, where he serenaded her with "My Girl" and continued to confuse masses of Jelena fans. Elsewhere in his Billboard interview, Zedd offers thoughts on what it's like to not be a stereotypical "bro DJ," why he reached out to Kesha, and why it's important for artists to stand against Trump. Read the profile here.